Hello my lovely readers today I'm sharing with you some of the bits that I'm currently lusting after. Word of warning: there are quite a few cactus related items on the list, I'm a little bit obsessed at the moment. I hoped you enjoyed this post, do you like any of the items on my Lust List? What's on your list this month? 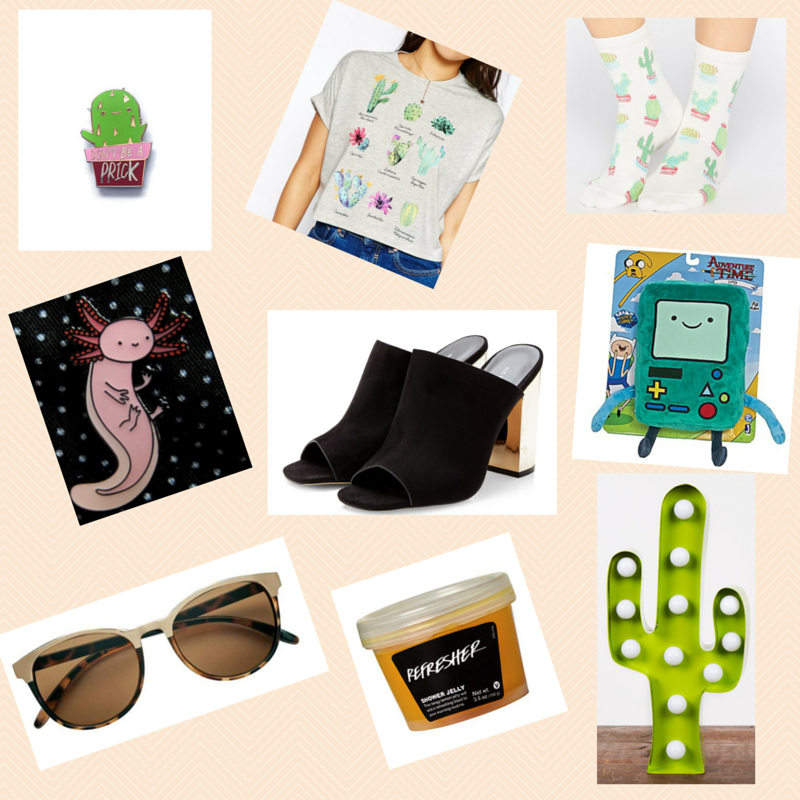 cute picks, loving the cactus things! Thank you I'm glad you liked them. Thanks for stopping by! Haha yeah I am just a little bit obsessed but they are so cute. I know, adorable isn't it? Thanks for popping in! Thank you I'm glad you liked it! Thanks for stopping by. I love those socks and the pin!! The pin website has so many cute ones on there. Lovely wishlist! I'm pleased you liked it, thanks for popping in!